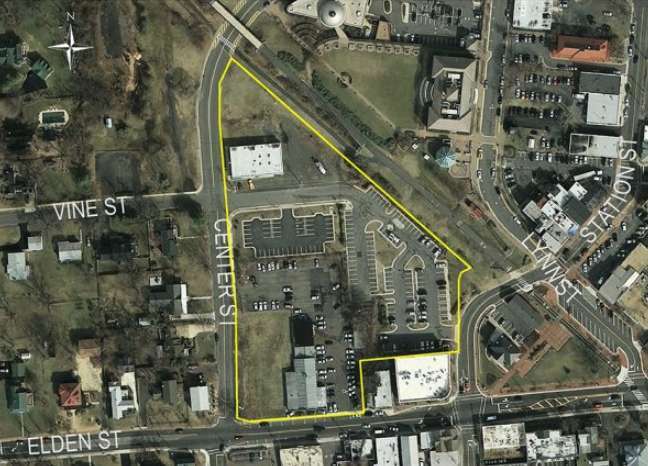 Comstock’s redevelopment plans for downtown Herndon are heading soon to the town’s Heritage Preservation Review Board. Ashton said that the site plan has been approved following months of engineering and zoning reviews. He added that staff is currently looking at Comstock’s applications to appear before the HPRB, which may happen as early as May. Comstock’s plan wasn’t the only development on last night’s agenda. 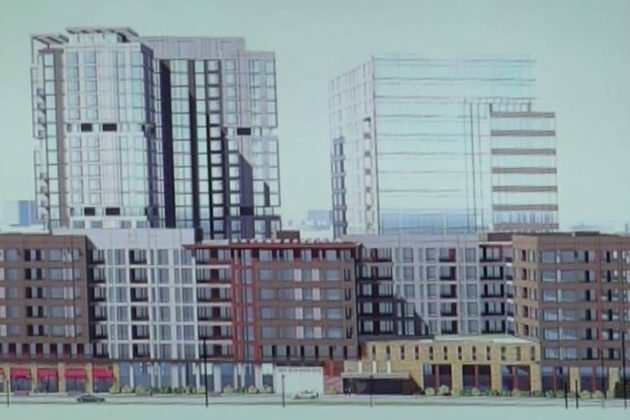 The Town Council approved a development plan to change the zoning at 555 Herndon Parkway to allow for Penzance Properties’ proposed mixed-use project, which would create an urban block with residential, office and retail space in three buildings. The Town of Herndon revealed its proposed budget today (April 1) along with publicizing two public hearing dates to receive feedback. Totaling a little more than $53 million, Herndon Town Manager Bill Ashton’s proposed fiscal year 2020 budget is a 10.9 percent decrease from the adopted FY 2019 budget, according to a press release from the Town of Herndon. The town’s FY 2020 begins on July 1 and runs through June 2020. The public hearings are set for April 9 and April 23 — both Tuesdays — and will start at 7 p.m. in the Ingram Council Chambers (765 Lynn Street). In addition to the hearings, locals can submit feedback online. Residents and businesses in Herndon can expect to receive a guide to the budget mailed to them. Now that winter is gone, the Town of Herndon has made plans for its annual spring clean-up. The town-wide spring clean-up week is set to run from Monday, April 8, to Friday, April 12. Residents will be able to discard large or bulky items on the curb for pick-up on their scheduled trash collection day. Residents should not place loose yard waste, auto parts weighing more than 50 pounds, large quantities of building materials, brick, electronics and household hazardous waste outside — those items will not get picked up. The Town of Herndon may slightly increase the fees for facility uses and rentals while eliminating its use of the Fairfax County Park Authority’s fee structure. 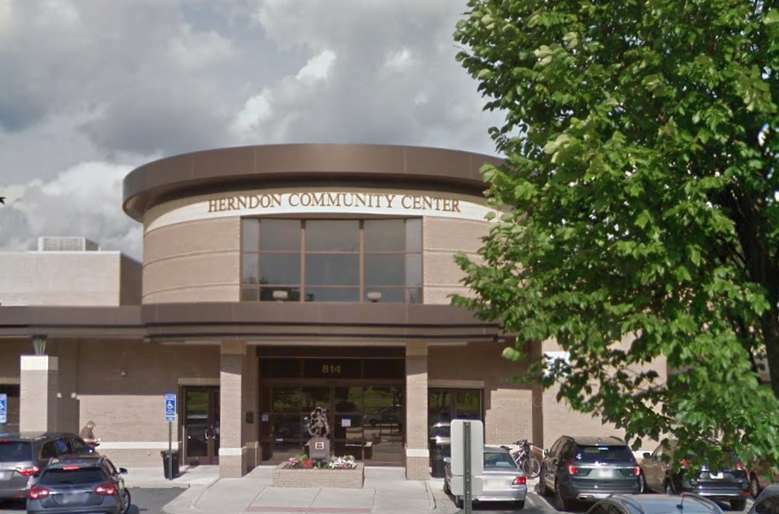 Herndon’s Parks and Recreation Department provides for community-use facilities at the Herndon Community Center, which includes a pool, gym, tennis courts, fitness rooms and drop-in child care. 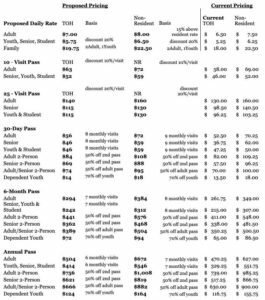 For about 12 years, the Parks and Recreation facilities fee schedule has included a pricing structure for community center admission fees and passes tied to the Fairfax County Park Authority rates. A department review of current services and operational costs prompted the Town Council to rethink its use of FCPA rates. “Staff is proposing that structure be revised to eliminate the connection to FCPA due to the significant increase in their proposed non-resident rates, which would be detrimental to a large percentage of Herndon Community Center users,” the Parks and Recreation staff report says. The Town Council now has a proposed resolution that would base the fees on a daily resident/non-resident fee. The change is expected to recover 75 percent of the department’s operating costs through fees and charges for services, according to the Town of Herndon. The new fee would add $0.50 more to the daily rate for both residents and non-residents. 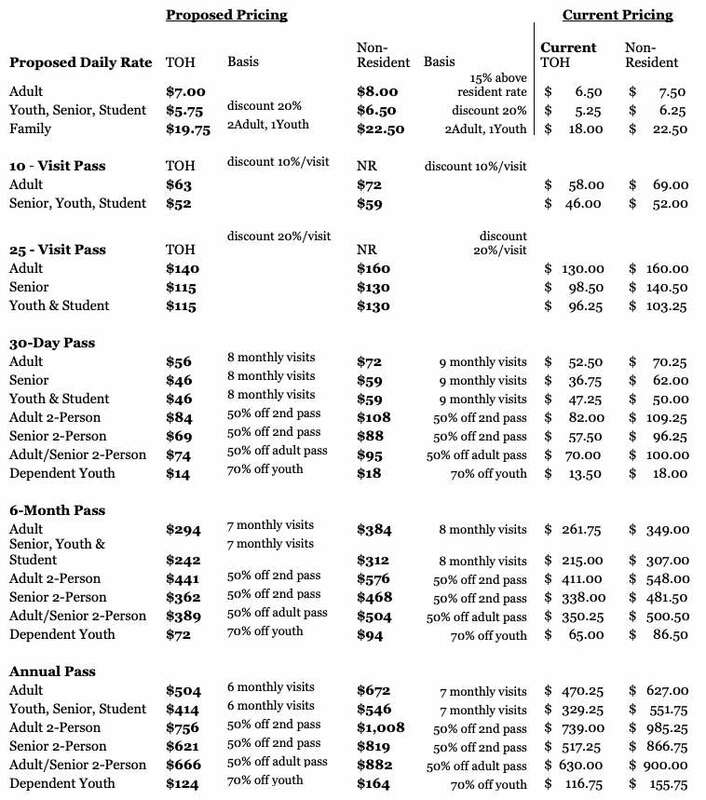 If approved, the amended fee schedule would go into effect on Sept. 1. Updated at 9:15 a.m. on March 18 — A previous version of this story incorrectly said “Vienna” instead of “Herndon” officials. This has now been corrected. 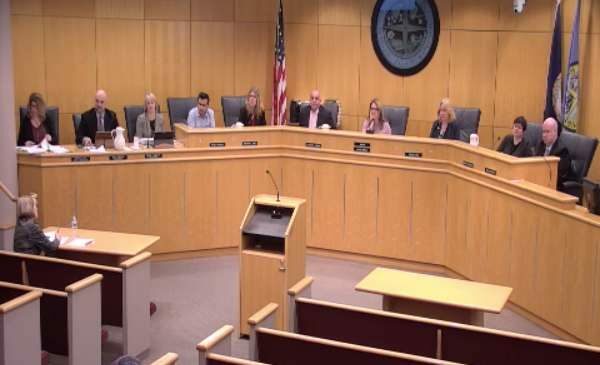 Some Herndon Town Council members are pushing for more robust ethics guidelines, but there’s disagreement about how best to go about doing that. While councilmembers have agreed that revising the code of ethics is a positive step toward ensuring ethical behavior of future councils and erasing a perception that the council skirts rules, they have different ideas on what should get changed or added. Breadth and specificity dominated the March 5 debate, with some councilmembers raising concerns that trying to list every single unethical behavior could end up missing some things and creating a policy that no one would read. For the sake of appearances, having a longer ethics code might raise some eyebrows if it’s overly detailed, one councilmember said. “I’d be like what kind of crap is going on if they need this level of detail?” said the councilmember, who could not be positively identified on an audio recording of the meeting. While some of the councilmembers expressed support for the current policy’s simplicity, others argued that a more in-depth code will clear up any confusion. Other possibilities floated at the March 5 meeting included defining “ethical behavior” and adding some definitions and rules that are in the state code. Creating guidelines for social media and online conduct also came up as a possible addition to the code of ethics or as a separate set of guidelines. Vice Mayor Sheila Olem and councilmembers Cesar del Aguila and Signe Friedrichs have led the effort to revise the code. Unethical, sketchy, and uncomfortable behavior among Herndon officials are some of the main reasons behind the push to strengthen the code. The councilmembers shared stories of unnamed former town officials who publicly berated staff, grabbed a staffer in a sexual manner, and solicited jobs from other elected officials in the performance of their official duties. The code of ethics is currently located in Article I of the second chapter under the Herndon Town Code. Sec. 2-5. – Code of ethics for the members of the town council and council appointed board and commission members. (a) Members of the town council and council appointed board and commission members shall perform their duties to the very best of their abilities and demonstrate integrity, honesty, and ethical behavior in the conduct of all town business. (b) Members of the town council and council appointed board and commission members shall treat the public, town staff and each other in a courteous manner and shall at all times refrain from abusive conduct, threatening or intimidating language or gestures, personal charges, or verbal or written attacks concerning the character or motives of other members of the town council, town boards and commissions, town staff, or the public. (c) Members of the town council and council appointed board and commission members shall bring any concerns about the performance of a council appointee to the entire council. Concerns about the performance of a town employee shall be discussed privately with the town manager. (d) Members of the town council and council appointed board and commission members should direct significant requests for information or discussions concerning town business to the town manager, who directs the day-to-day operations of the town and its employees. (e) Members of the town council and council appointed board and commission members shall fully comply with the provisions of the Virginia Freedom of Information Act, Code of Virginia, §§ 2.2-3700, et seq. and the State and Local Government Conflict of Interests Act, Code of Virginia, §§ 2.2-3100–2.2-3131, as applicable. Many of the collection days for trash and all of the ones for recycling in the Town of Herndon are set to change starting in August. The changes are set to start the week of August 5. Recycling days will change to either Monday or Tuesday and some trash collection days will shift to Wednesday, Thursday or Friday. The types of services will not be affected. The changes are meant to increase collection efficiency, balance routes, consolidate collection areas, and allow for existing and future development, according to the Town of Herndon. Town Manager Bill Ashton told the Herndon Town Council at its public session last night (March 12) that public outreach is the first step of the process. “We have a very comprehensive plan to do public outreach in this regard because it is changing how things have been done for about the past 25 years so that is always a difficult thing,” Ashton said. Ashton said that Herdon residents can expect a letter in their mailboxes soon from the Department of Public Works outlining the changes. 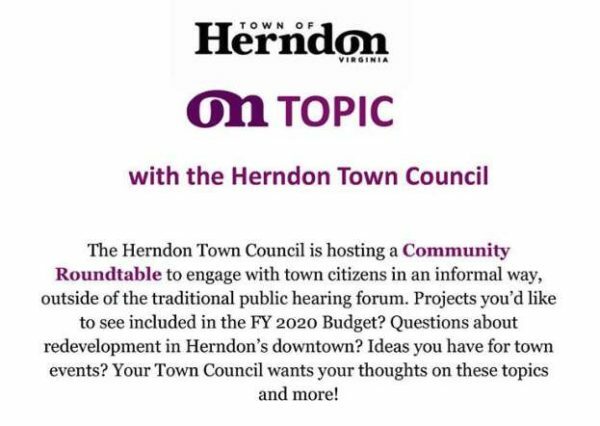 The Town of Herndon wants residents to share their thoughts and ask questions about anything they want at an upcoming roundtable. The community roundtable is set to take place 9-11 a.m. at the Herndon Municipal Center (777 Lynn Street) this Saturday (March 2). The town council members will be there to engage with residents. Sleepyheads can expect coffee. Residents are invited to discuss any and all of their Herndon-related questions. At the Town of Herndon’s meeting last night (Feb. 26), councilmembers encouraged locals to come to the roundtable, along with asking for their input on the budget. Six submissions later, a Penzance Properties development that was first submitted in 2015 moved forward at the Herndon Planning Commission meeting on Monday (Feb. 25). The development would create an urban block with residential, office and retail space in three buildings at 555 Herndon Parkway, which is currently home to a suburban-style office building that was constructed in the early 1980s. 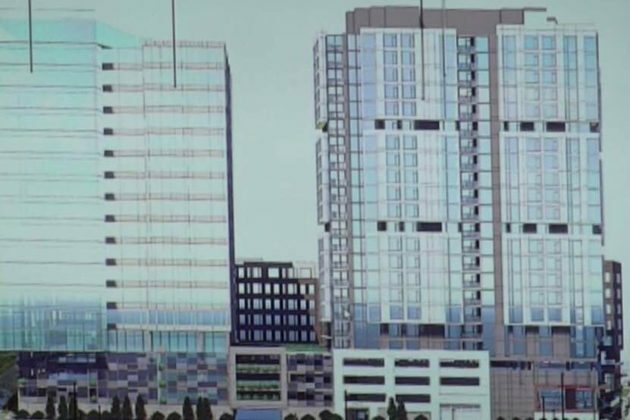 A high-rise office building and a high-rise residential tower with retail space and a garage would face a mid-rise residential building with retail space and above and below ground parking. The plans include a publicly accessible plaza in the center and multi-modal streetscapes. The development plans to have three entrances off of Herndon Parkway that will lead into a loop road surrounding the property. The proposed development has been scrutinized at four Planning Commission and two Architectural Review Board meetings just since the start of this year, along with one community meeting. The presentation to the commission on Monday highlighted the changes that addressed concerns and suggestions from those meetings. Some of the notable alterations include adding midblock pedestrian passages and revising the open space design. The architecture was also changed in response to comments by the ARB — new storefront designs have greater variation in the material use, texture and color and more vertical breaks and architectural elements were added to the previously monotone garage design. 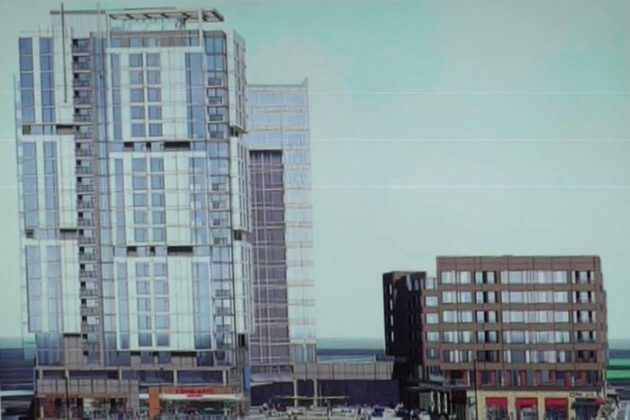 While the mixed-use development hit several design snags and a zoning issue earlier this year, the project’s size and scale posed review challenges for the boards grappling with an unusually large development. The team behind the project echoed why the project is such “a big deal for the town” — as the commission’s Chair C. Melissa Jonas described it. 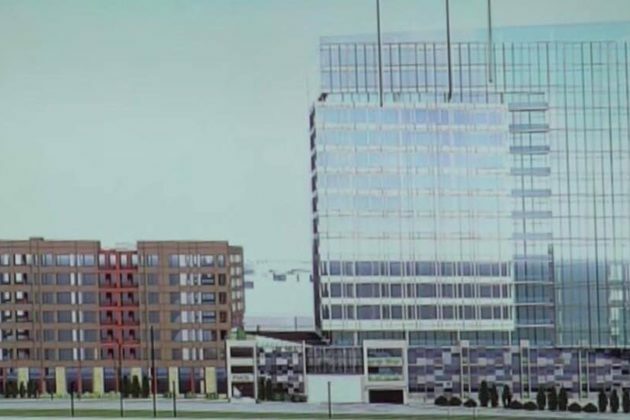 “Herndon is a lot of things, but it’s not yet 275-foot-tall buildings,” Kenneth Wire, the land use attorney for the project, told the commission. Wire said that the project will follow in the footsteps of Herndon’s unique identity by building upon the town’s streetscapes and signage. The central plaza will have a focal point, such as art or a water element, and the buildings will have decorative elements, he added. “This has been a large process for the Town of Herndon to think about this area and what it means for our town,” Jonas said. The project would take place in three phases of construction. As the proposal moves forward, it is possible that the Architectural Review Board may tackle the site plan for each phase separately. The queue of proposed projects for the Town of Herndon has two new items — plans for more police storage and a traffic signal along Elden Street. Senior Planner Dana Heiberg presented the draft Capital Improvement Program (CIP) to the Town of Herndon’s Planning Commission last night (Feb. 25). The draft CIP spans a six-year period from fiscal year 2020 to fiscal year 2025. One new addition would give police officers more space to store police bicycles, bulky equipment and other police property. The CIP budgets the creation of the exterior garage at $700,000 from FY 2020 funding. That isn’t the only police project. Another one would update police radio equipment as Fairfax County moves toward encryption technology. Meanwhile, the second new project — a traffic signal at Elden Street by the Herndon Centre — originated from a developer proffer. Heiberg also gave an overview of the 50 projects for this year — many of which he said are on-going ones from the FY 2019-FY 2024 CIP. For this year, planning and permitting software will is set for implementation. The information technology project is supported by the town’s reserves. Renovating the Bready Park tennis courts, which will include converting the lighting to LEDs, is a part of the 10 planned park projects. Nine projects sponsored by community development are set to tackle street improvements; pedestrian and bike trail upgrades, including trails leading to Herndon’s metro station; and wayfinding signs and historic markers. The Herndon Centennial Clubhouse is also set for an expansion to take place over three phases. Once construction funding is decided upon in FY 2024, the renovation and expansion of the existing structure, which was built in the 1980s, will begin. The General Fund projects for the six years in the draft CIP total $58.1 million, with about $6 million for FY 2020 General Fund projects. Grant funding will support most of the projects — acounting for 46 percent — while the General Fund will support a little over 20 percent, Heiberg said. The Planning Commission voted 5-0 to recommend that the draft CIP move forward to the Town’s manager. Winter weather today means not just kids are enjoying a snow day. 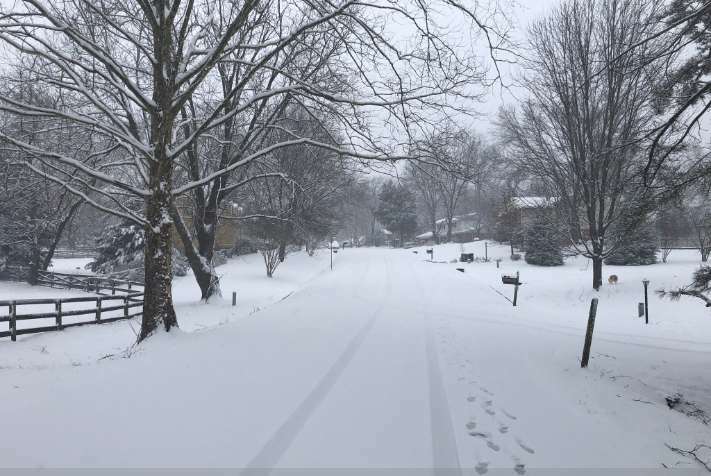 Several offices and services are closed or have altered schedules today as a mix of snow, rain and sleet hits Fairfax County. The Fairfax Connector is running on a Saturday schedule today. Metro trains will run every 12 minutes, while buses are on a “severe snow service plan” with only limited service on major roadways. Fairfax County government offices are closed, along with golf courses and county parks. The Fairfax County Circuit Court, General District Court and Juvenile and Domestic Relations District Court are closed as well. RT @fairfaxhealth: All Health Department offices, public health clinics, WIC, Adult Day Health Care and Community Health Care sites are closed today (Wednesday, February 20) due to the snow storm. The county’s Planning Commission won’t meet tonight. The Reston Animal Hospital, Reston Community Center and Reston Association offices including the Walker Nature Center and Central Services Facility are closed. The open house for Lake House for today has been canceled. The Greater Reston Chamber of Commerce canceled its events for today. HealthWorks in Herndon will be closed. If you live in Herndon, don’t expect your recycling to get picked up today. 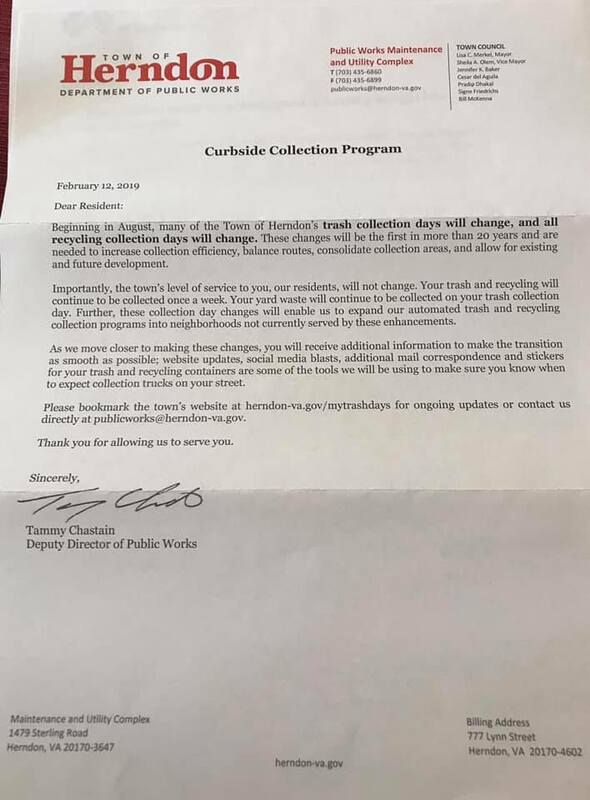 Mayor Lisa Markel posted on Facebook that recycling will be collected on Thursday instead. Items from the Town of Herndon’s previously planned meetings for the Architectural and Heritage Preservation review boards are now moved to the March 20 public hearing. The Town of Herndon’s offices and the Herndon Community Center are closed. Town offices, the Herndon Community Center and the tennis bubble are closed today. Recyclables will NOT be collected; they will be collected Thursday. Thursday's trash collection will happen on Friday. Stay safe and warm! The Herndon Town Council is moving forward with a planned makeover for an area of South Elden Street that currently has aging shopping centers and a mix of retail, residential and office space. The area set for revitalization runs along Elden Street from Worldgate Drive to Sterling Road. 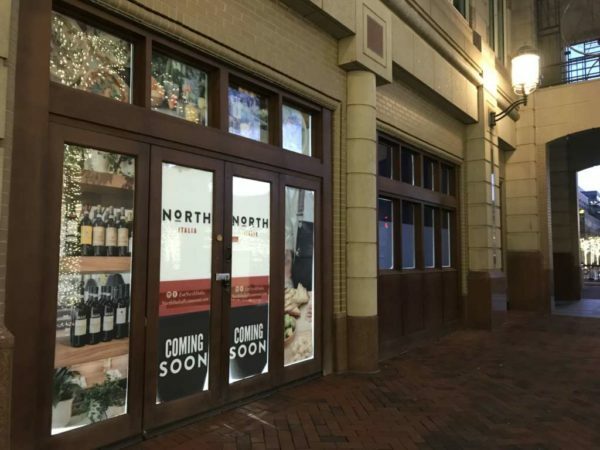 Currently, the area includes the Dulles Park Shopping Center, Parkway Shopping Center and Elden Street Marketplace Shopping Center. The Town Council has been working since 2017 to create a plan for the area, which will serve as a guide for future land use decisions. The plan is broken into five tiers. The first tier, which is above Dulles Park Court, and the third tier, which includes the area surrounding Alabama Drive — excluding the Dulles Park Shopping Center, would have similar zoning. The second tier, southwest of Herndon Parkway and above the Kohl’s, would transform from office space to two-over-twos and townhouses. 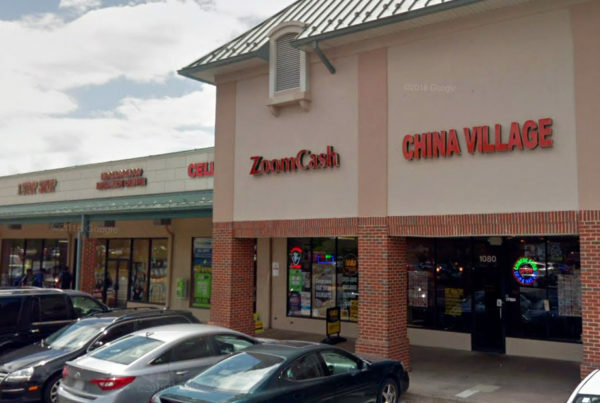 Meanwhile, tier four, which includes the Parkway Shopping Center and area east of Elden Street and south of Herndon Parkway, and the last tier — the Elden Street Marketplace Shopping Center — would keep some of the commercial space, with tier five adding up to 45 multifamily units per acre. 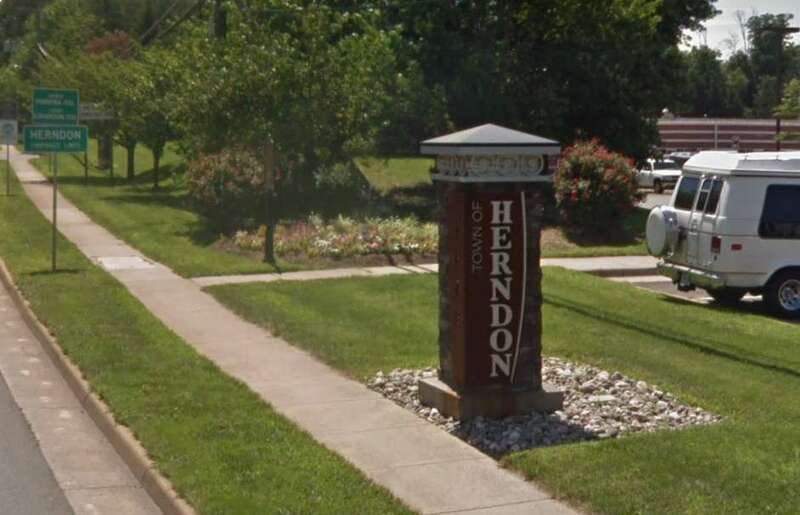 Ultimately, the Herndon Town Council wants the area to have greater connectivity to the Metro, add more residential units, provide a diversity of housing and incorporate sustainable design. 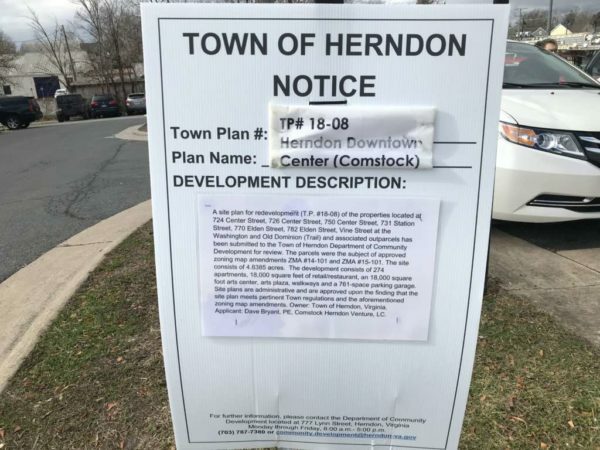 Councilmember Jennifer Baker said the plan “has been a long time coming.” Baker stressed that this plan will set up an outline of what the Town of Herndon wants from businesses and developers. The Town Council adopted the plan as a Comprehensive Plan amendment at its public hearing on Tuesday (Feb. 12). Noe Flores, Jr, a Herndon resident and vice president of the Four Season Homeowners Association, told the council that he wants some clarification about the “super exciting” proposal. Councilmember Pradip Dhakal added that mixed-use developments can help lessen the impact of any future economic downturns. Still, Dhakal said the Town of Herndon is grappling with how to grow and build without losing what makes it unique. Councilmember Cesar del Aguila reminded everyone at the public hearing that the plan is still a skeleton of a draft. With more work left to go, del Aguila urged residents to keep submitting comments and suggestions. “The worst thing we can do is make decisions within an echo chamber, within a bubble,” he said. Future steps include adopting zoning map amendments and holding Architectural Review Board hearings. Construction could begin as soon as late 2020. 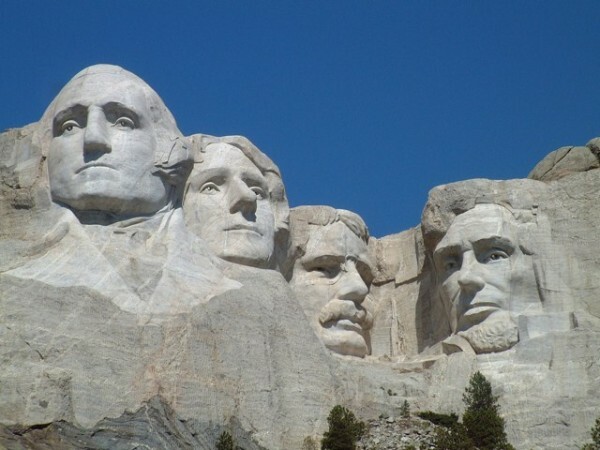 Presidents’ Day is coming up on Monday (Feb. 18). Whether or not you plan to spend the day remembering past U.S. presidents, check this list if you’re planning to visit government facilities around Fairfax County. Fairfax County’s libraries and courts will be closed. The county’s public schools will be closed. The Fairfax Connector will be running on a holiday weekday schedule and some routes won’t operate. Colvin Run Mill Historic Site will be closed, while Frying Pan Farm Park will remain open. County trash and recycling collection will not have any changes to the collection schedule next week. The Reston Association offices, including the Central Services Facility and Nature House, will be closed. Reston Community Center will be open. Town of Herndon government offices will be closed. Refuse will not be collected and will resume service on Tuesday (Feb. 19). The Herndon Community Center will be open from 6 a.m.-9:30 p.m. Classes will be held as scheduled. The Herndon Centennial Golf Course will be open from 8 a.m. to until dark. All Virginia Department of Motor Vehicles (DMV) customer service centers will be closed. Metrorail will be running on a weekend schedule, while Metrobus service will operate on a Saturday supplemental schedule, with some late-night trips canceled on select routes. Speaking of closed offices, Reston Now will be on a break as well on Monday. After hitting delays with multiple revisions, Comstock’s newest redevelopment plans for downtown Herndon are now back under review. Town Manager Bill Ashton told the Herndon Town Council at its public meeting on Tuesday (Feb. 12) that the staff started reviewing the revised site plans on Friday (Feb. 8). “The fourth revision of the site plan is back in staff hands as of late last week,” Ashton said, adding that the Town of Herndon has “gone back and forth” with Comstock to refine the proposal and site plan. The proposed project for Herndon’s downtown has stalled several times since the Herndon Town Council and Comstock agreed to the mixed-use development in 2017. Plans for the redevelopment were withdrawn and then resubmitted last summer after property owners next to the site of the redevelopment effort filed three appeals.